Macbook Pro With Retina Display Repair! Now that we have a couple of months under our belt repairing the new Macbook Pro With Retina Display, I think it is safe to say we have mastered it. The Macbook Pro With Retina Display comes in 2 different sizes, 13″ and 15″. Both are incredibly beautiful and both immensely powerful. After taking some time and thinking of the best adjective to describe this machine, all that seemed fitting was ” The Gandalf The White of Laptops”. I’ll take 3 of these please! While the 15″ is on my wish list and I have yet to obtain one, I still have the pleasure of at least seeing these on a daily basis. Mission Repair has become the go to repair facility for the Macbook Pro With Retina Display repairs and its thrilling to just look and hold one of these. So, you can imagine our elation when we get the chance to take a broken one and make it new again! 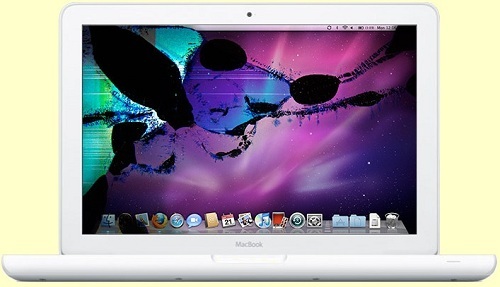 While our most popular services are the MacBook Pro 13″ RETINA DISPLAY Glass and LCD Repair and MacBook Pro 15″ RETINA DISPLAY Glass and LCD Repair, we have the ability to service much more than that on these beautiful machines! From SuperDrives all the way to logic board repair, we have the ability to support this machine for years to come and if they are anything like the original macbook, you can expect a good long life from your computer! We have our staff fully rocking today and we would love to hear from you. If you have a chance… Live Chat, CALL (866-638-8402) or email us. Even if you don’t have a Macbook Pro with Retina Display, I would love to discuss the current ongoings in Middle-Earth with ya! Anyway, I have an awesome deal of the week to share with you today. For sometime now, smartphones and tablets have been the main focus when we create new deals of the week. This is for no particular reason that I can think of, other than we have a new product to repair on these sides of the business every other day. Thus, these naturally become the main focus.